At the halfway mark of the season, what has been the most disappointing story of the year? Bradley: It has to be the Boston Celtics, right? While it feels excessive to overly criticize a team that as of this writing is 25-18 and clinging to a chance at winning 50 games, the fact remains that Boston has championship aspirations, and everyone from the ball boy to the locker room to the front office believes they have a real chance to compete in the NBA Finals. Not even getting there would feel like a massive underachievement. To this point, Boston has faced the fifth-easiest schedule, per Power Rankings Guru’s calculation. They have the ninth-most-difficult slate remaining. Through 43 games last season, the Celtics sported a 33-10 record and, even putting their early 16-game winning streak aside, performed far closer to expectations then than now—and that was without Gordon Hayward. Are there teams that would kill to be in this position? Of course. This certainly feels like the NBA’s version of #FirstWorldProblems. And if the Celtics were simply struggling to click and learn how to play together given the integration of Hayward, it would feel less troublesome. 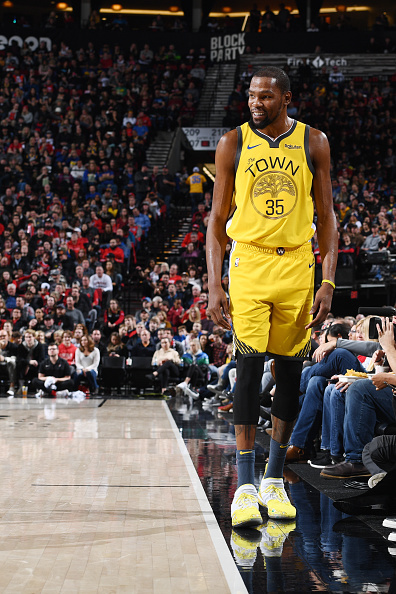 It’s easy to be seduced into thinking that’s all that’s wrong with this team when they show us flashes of brilliance like they did in a recent 135-108 thrashing of the Indiana Pacers. Unfortunately, it feels like a segment of the roster is bogging the team down due to a disdain of authority and, even more troubling, apathy. And while I don’t think this should completely negatively reflect on coach Brad Stevens, it’s hard to ignore that in his first true test of ego maintenance in the NBA, his team is struggling. Kern: Three weeks ago, I’d have said the Houston Rockets, but James Harden has done a heck of job rewriting that story. So, I’m going to say it’s the New Orleans Pelicans. As I write this, they’re coming off a huge win over the Clippers, and the West is jumbled enough that they’re only 2.5 games out of eighth, but they’re still two games under .500. 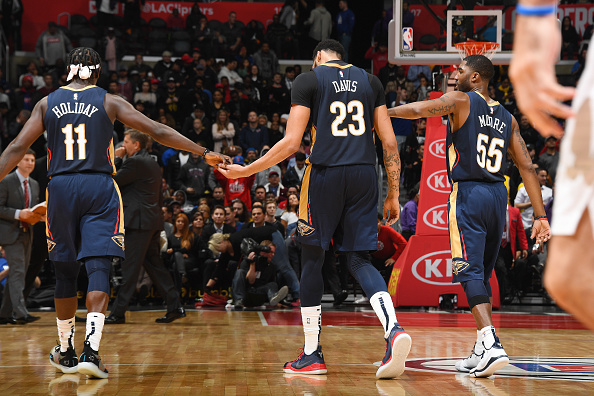 They’re disappointing because they should be better; they have a generational talent in Anthony Davis, a great two-way point guard in Jrue Holiday, and (what should be) solid role players in Nikola Mirotic, E’Twaun Moore, Julius Randle and Elfrid Payton. But they haven’t jelled, and collectively they just can’t seem to get it done on defense (they’re currently 25th in defensive rating). Injuries have slowed them up a bit, but that excuse only goes so far. They’re also disappointing because their mediocrity has led to story after story speculating about Davis’ future, and I’m exhausted by it. Can’t we just focus on this year’s free agents and worry about Davis next year? If the Pelicans could get their act together, maybe we could. Pegues: Wild as it sounds, the Boston Celtics. How can a team that’s above .500 with immense depth be a disappointment? They’re supposed to be better than what they are at this point. The Celtics have top-tier talent along with top-tier coaching, and they seem to shoot themselves in the foot against teams they should easily dominate; most recently the Miami Heat and Orlando Magic. 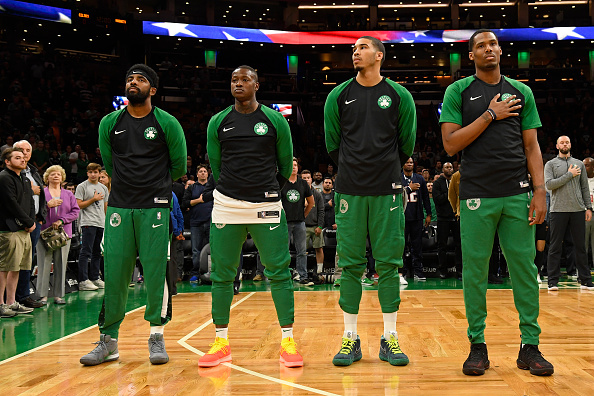 The Celtics had high expectations coming into this season, but this is a new year and they still don’t look comfortable playing with each other at times. Chemistry issues amongst players doesn’t concern me as much as others because it’s within competitive nature, but nonetheless, it really shows. I expect them to turn it around as the second half of the season starts, but there’s no reason the Celtics should be fifth in the East with the squad they’ve assembled. Salkin: The Boston Celtics. 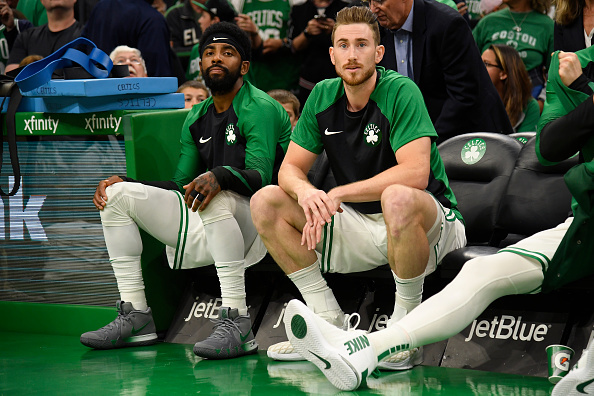 After pushing LeBron’s Cavaliers to the brink last season without Kyrie Irving and Gordon Hayward, the Celtics were a near unanimous pick to win the East this year. The school of thought was that they were a lock to dominate the east, now and in the future. An up and down team on pace this late in the season to win 48 games and be on the road in round one? That is a drastically worse spot than we all expected. The popular idea of “imagine this team with Kyrie and Hayward”? It. has not worked. Chemistry can be fickle and we are seeing in Boston just how egos can submarine a team. Kyrie, clearly, feels last year’s team was fun and plucky, but certainly not a true title contender. His young teammates, particularly Jaylen Brown, seem to feel like after they went so far without Kyrie, that he has no right to question his teammates this way, as if he knows something that they do not. It is hard to carry a team to the final four, then accept a reduced role, like Kyrie’s teammates are expected to do. Combine that with Terry Rozier playing for a contract, and everyone knowing they are perhaps temporary fixes before an Anthony Davis trade, and individual agendas appear to be undermining team success in Boston. Soaries: Boston sticks out to me. I still think they can figure things out and be the East’s best team when it matters, but so far, they look extremely mortal. And that’s disappointing given the number of weapons they have. Now instead of being heralded as a possible title favorite, we’re stuck on narratives like Kyrie leaving and Brad Stevens’ coaching, meanwhile taking glaring losses to the likes of the Knicks, Nets, Magic, and Lakers. Juxtaposing question one, what’s the most inspiring story of this NBA season? Kern: I really want to say it’s the San Antonio Spurs, who are getting the absolute utmost out of their midrange kings DeMar DeRozan and LaMarcus Aldridge. The two are blasting the league to the tune of a fifth-best offensive rating and 8th-best net rating, while sticking firmly in the playoff hunt. Gregg Popovich is a master. But my actual answer is Luka Doncic. He is doing amazing things as a 19-year old rookie. Every game seems to produce some ridiculous highlight, whether it’s a pinpoint pass, crazy off-balance shot, or game-clinching dagger. He’s averaging 20 points, 6.7 rebounds and 5 assists, 37 percent shooting from downtown and a true shooting percentage (TSP) of 56. As a rookie LeBron James averaged 20.9, 5.5 and 5.9 with a TSP of 49. That’s the kind of company Doncic is keeping, and it’s unbelievable. 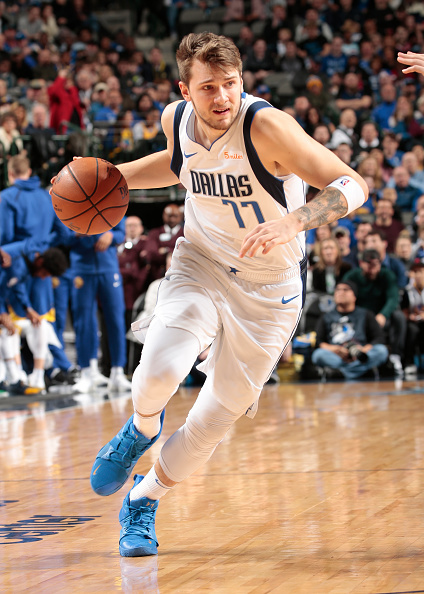 Salkin: Luka Doncic. People who watched Doncic in Europe knew he was very good. And many of his detractors did not appear to have done their diligence to address why they actually felt that way. Still, like any rookie, there was some uncertainty about how good Doncic could be, at least right away. Averaging 20-7-5 as a rookie and carrying Dallas from the basement to plucky 35-40-win team? Nobody quite projected that. The stepback 3s, the clutch shotmaking, the vision in the pick and roll, is all incredibly fun to watch. Doncic has the game on a string, every night. The Mavs have built their entire offense around his skills, which is something you just do not see with rookies. Most impressive? After a year where three rookies dominated headlines as key components of playoff series victories, Doncic is probably better than all three. Doncic is awesome. Enjoy it. Soaries: I think the Kings have really been inspiring NBA fan hearts across the league. De’Aaron Fox, Buddy Hield, and their mix of budding young talent make them an encouraging sight. 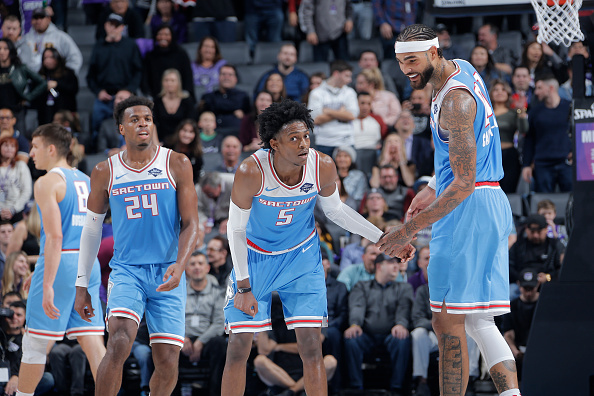 We’re seeing other young projects show signs of coming into their own as well, like Willie Cauley-Stein, Harry Giles, and players like Bogdan Bogdanovic. It’s an inspiring example of the depth of talent in the league right now and an overdue turnaround for a struggling franchise. Pegues: Get Kemba Walker some help! That line sounds like a broken record by now but it’s true. Kemba just keeps on ballin’ out. He’s literally carried the Hornets on his back the entire season to the point that they’re in the eighth spot in the East, which is a miracle. Kemba is averaging 25 points per game and has three 40-plus point performances to go along with a 60-point onslaught of the Sixers in a losing effort. It’s inspiring to see Kemba’s one-man army efforts as the Hornets fight for the last playoff spot in the East, so he should be an All-Star for the third straight season. He wants to stay in Charlotte, I just hope they keep giving him a reason to be there. 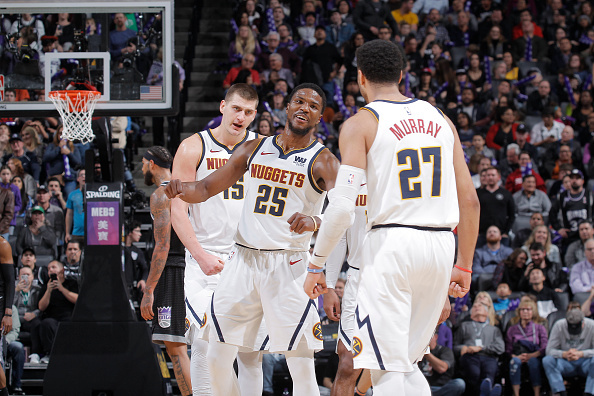 Bradley: With respect to Luka Doncic, James Harden, and the revived Brooklyn Nets and Sacramento Kings, my favorite story this season is the Denver Nuggets. Nikola Jokic is the best player not nearly enough people are talking about, and he’s been the anchor of a defense that is finally catching up to its explosive offensive counterpart. After ranking 29th and 23rd in defensive rating each of the past two seasons, Denver has risen all the way to 10th in the League. Everyone knew they’d be dangerous if they could ever play defense. Now, they finally are, and it’s paying dividends in the form of a Western Conference-leading 29-13 record. Their true test will come in the postseason, of course, but considering what they’ve done while basically missing Will Barton for the entire season, Paul Millsap and Gary Harris for chunks of it, and receiving no contributions from lottery pick Michael Porter Jr. or free agent signee Isaiah Thomas. The future is bright in Denver. If we look back on the 2016 NBA Draft, it’s rather apparent the Philadelphia 76ers made the right pick with Ben Simmons at No. 1. However, after that it gets shaky. Who is going to be the second-best player from that class? Pegues: The Toronto Raptors found a diamond in the rough with Pascal Siakam taking him 27th overall in the 2016 draft. Last season with the Raptors, Siakam showed signs that he could be great and this season he’s standing out like a sore thumb even with Kawhi Leonard running the squad. Siakam is long, he can shoot and excels in one basketball quality you can’t teach: hustle. His motor produces points, rebounds and on the defensive end for the Raptors so much that he could be a great fit for any team. It was tough to pick between Siakam and Jamal Murray who will be a very good player, but he needs to improve on the defensive end, that’s what puts Siakam ahead of him at this time. Salkin: This is a tough one. Jamal Murray has done a good job as the Nuggets point guard, but Nikola Jokic makes things easy. Paskal Siakam has taken a leap this year, but he does not have the burden of creating offense with Kawhi Leonard in the fold. Caris LeVert is also in this conversation with the leap he took, but his durability and range shooting give me some pause. And Buddy Hield also took a leap this year with his sweet stroke, but he is closer to 30 than 20. 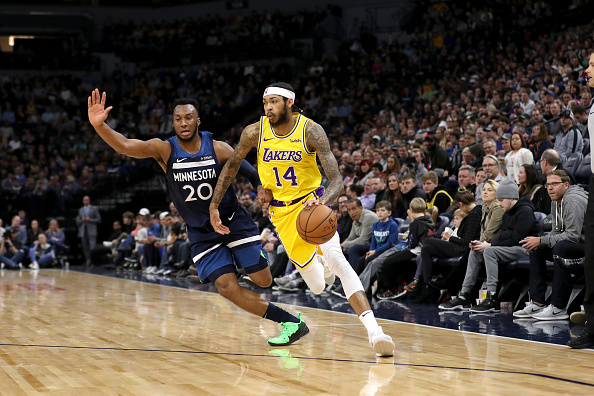 Enter my pick: Brandon Ingram. Ingram took a step forward in year 2, but yes, year 3 has been underwhelming. With that said, a lot of players struggle playing with LeBron. 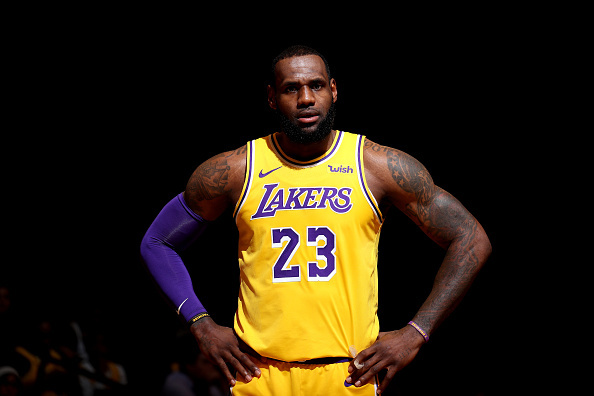 And while he has struggled without him, he knows LeBron is returning, and that creates pressure to perform, or find himself on the bench or potentially on a new team. I think Ingram will be a casualty of LeBron’s star chasing in 2019. But with his physical gifts scoring the ball, and as a long 6-9 athlete who handles the ball like a guard, I think he will thrive in the right situation as a scorer who can easily get his own shot and use his long frame to manipulate defenses and find teammates for open shots. He has a ceiling Murray, Siakam, Hield, and LeVert cannot quite reach. Each player is likely better than him, today, but I do not believe that will be true in two years. Soaries: The way Buddy Hield is starting to establish himself this season, I’d say he’s the best candidate for this question. He’s figured out how to be a 20-point scorer in the NBA, something none of his peers have been able to do yet. Right now, he has an ideal situation in Sacramento with a young star backcourt mate. My runner-ups would be Brandon Ingram and Jamal Murray. Bradley: Pascal Siakam and Malcolm Brogdon are already making a case for themselves as invaluable role players on major contenders in the East. It still feels way too early to just give up on the star potential of Brandon Ingram and Jaylen Brown, who much like many other members of their draft class are just 21- and 22-years-old, respectively. Both have already become more efficient if not altogether better shooters (especially in Brown’s case). Brown’s an excellent defender when he wants to be, and Ingram has taken strides in that department as well. Earlier this year I might have said Caris LeVert, but we’ll need to see how well he can recover and sustain his health after multiple major injuries so early in his career. All that said, I’m choosing Jamal Murray. His scoring has improved every year, and he was already naturally talented in that department to begin with. He’s averaging 18.5 points per game as the starting point guard on the No. 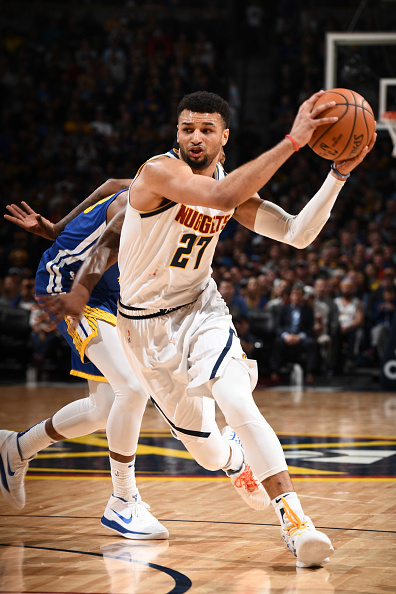 1 seed in the Western Conference, and his defense is developing well enough for a young third-year player (his .111 defensive win shares lead the nuggets and rank inside the top 10 percent in the League). It’s easy to see him exploding into an offensive darling like Kemba Walker, averaging 25 a night, and making a few All-Star teams someday. Kern: Not exactly a murderer’s row after Simmons, is it? I’m tempted to go outside of the draft and say Fred VanVleet, who has blossomed into a key contributor for Toronto after going undrafted that year. But I think Jamal Murray has the highest ceiling. On paper, his shooting stats are down this year; his TSP of 51 is well off the 58 he posted last year. He’s undersized, and his defense is a bit weak (and the Nuggets D overall is on a downward trend from where it was early in the season). But Murray’s still an incredibly effective scorer, able to beat teams in a variety of ways: off the bounce, penetration, catch-and-shoot. He’s developing a nice chemistry with Nikola Jokic, who’s looked like an MVP candidate at times. I think Murray is good enough to be the second-best player on a contender. He’s also a heck of a lot of fun to watch! After James Harden, Bradley Beal might be on the League’s hottest tear right now. If you were the Wizards, would you try to re-tool this team to truly complement Beal or would you look to move your most valuable piece and start an all-out rebuild? 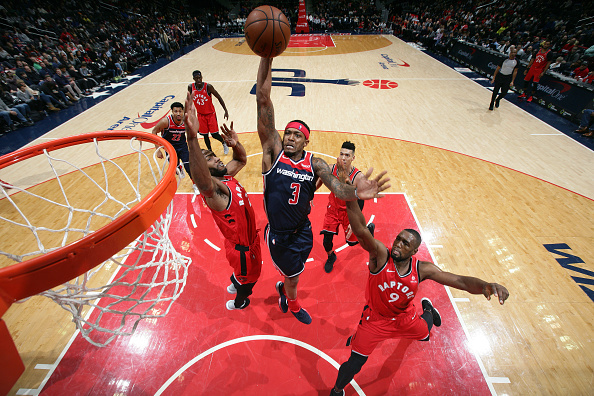 Salkin: I continue trying to win and I do so around Beal, who has been exceptional. 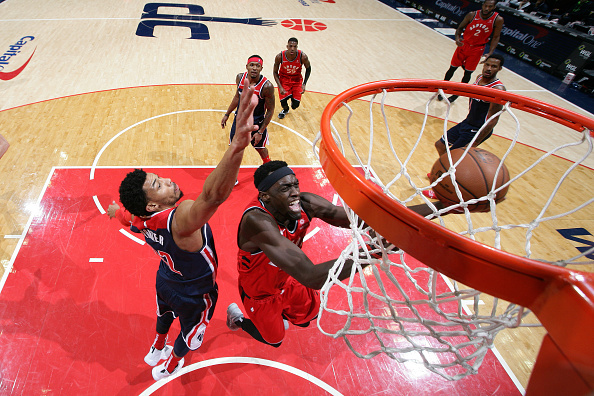 With Wall’s anchor of a contract being untradeable, Otto Porter clogging the books and Ian Mahinmi still on the payroll next year, the Wizards cannot truly rebuild for at least a couple of years no matter what they do. They will either hemorrhage picks to offload Wall or be too good to tank due to having Wall. Plus, Beal’s trade value may be less than we think. He quietly has an opt-out clause in 2020. The possibility of that makes him a rental and will drive his price down. So, since a rebuild is futile anyway. Washington may as well try to win as much as possible around Beal—the type of player they would try to find in a rebuild, anyway—and see if it works. The Wizards should build around Beal for the next two years or so. If it works, great. If not, the Wizards will be in a position to reset. Beal will carry more trade value than he does now, early on his third contract with many years left on it. Wall’s value will increase, too, as his supermax ticks toward expiration. Consequently, the Wizards can hit the rest button closer to 2021 if things go sideways. But doing so now is not the play. See if you can win around Beal. Soaries: Nothing against John Wall, but my approach would probably be to build around Beal in more of a James Harden sense. Beal can run an offense and his scoring ability at the point of attack should be the emphasis. A versatile and athletic roster around Beal is what I would be going for. Bradley: What’s the ceiling for this team? We’ve probably already seen it at some point over the last four seasons. Is it worth paying an exorbitant luxury tax on a team that might never make it past the second round? From a pure basketball standpoint, I think you trade Beal. Houston, Milwaukee, and Philadelphia are among true contenders who can put together deals that work financially. Aside from draft picks that likely will be made in 2020 and after, the most valuable piece any of those teams can offer is Markelle Fultz in Philly. Would the 76ers do something like Wilson Chandler, Fultz, and a bevy of picks for Beal? Would Washington? Better yet, could you entice New Orleans to take John Wall at the deadline in hopes of enticing Anthony Davis to stay? A deal with Wall and Ian Mahinmi for Jrue Holiday and Solomon Hill’s expiring contract works financially on both sides and will save the Wizards nearly $30 million in cap space next season, let alone the salary tax implications of having Holiday locked in at $26 million for four years instead of Wall averaging $42 million for five. It’s the best of both worlds for Washington—getting out of the extreme cap jail Wall puts you in while remaining competitive with an All-Star-caliber player like Holiday—while New Orleans can plug another true star next to Davis during the most pivotal time of his Pelicans tenure. OK, that’s probably unrealistic. But the point stands: if we’ve seen peak Wizards and they’re stuck with Wall, you might as well move on from Beal and save some money in the process. Kern: This is the most difficult question of the five to answer. I almost feel bad for GM Ernie Grunfeld and the Wizards, because they are in an impossible situation. But I don’t feel bad because they put themselves in this spot: No one forced them to give John Wall that mega contract. Beal is blossoming into something special, so if I’m the Wizards GM, I’m in the former camp. I move heaven and earth to dump Wall and everyone else on that roster before I consider moving Beal. But even heaven and earth might not be enough to move off Wall’s contract. Heck, it might not even be enough to trade Ian Mahinmi and Otto Porter Jr., who are also overpaid. So as reality sets in, I might have to trade Beal. But I’m going to be patient and hold out for the right deal—one that includes one or both of Mahinmi and Porter with Beal—and hopefully get back a legit player or two on friendly contracts and/or multiple first-round picks. I’ve been on the “treadmill of mediocrity” for like five straight seasons, I can afford to wait! Pegues: The Wizards are in a tough spot, because they’re stuck with John Wall and Bradley Beal is signed through 2021. 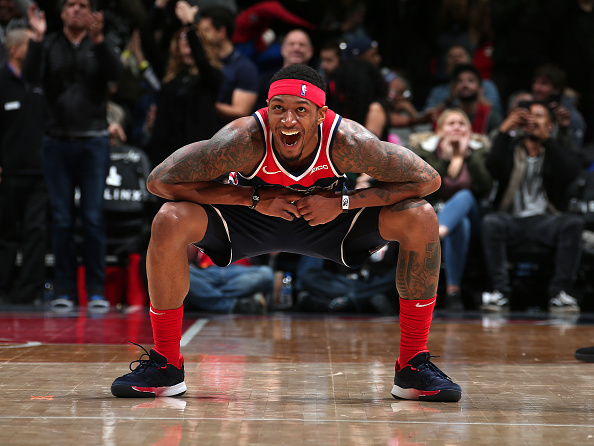 Keep Bradley Beal at all costs. Beal is 25 and is only getting better as time goes on, losing him in an attempt to revitalize the franchise is a desperate move that shouldn’t be made. If I was their GM, I would move Otto Porter in hopes to get more consistent shooting and potentially another backup point guard since Wall has proven to be fragile. Teams like Dallas, Sacramento and New Orleans have expressed interest in Porter so I would see what they would offer in return. If not, the Wizards aren’t that good and will be in the front part of the draft, maybe the ball will bounce their way in the lottery. Hypothetical: The game is coming down to one possession. Five seconds left on the clock, one-point game and it’s going to be an isolation look. What you don’t know is whether you need the stop or the score. 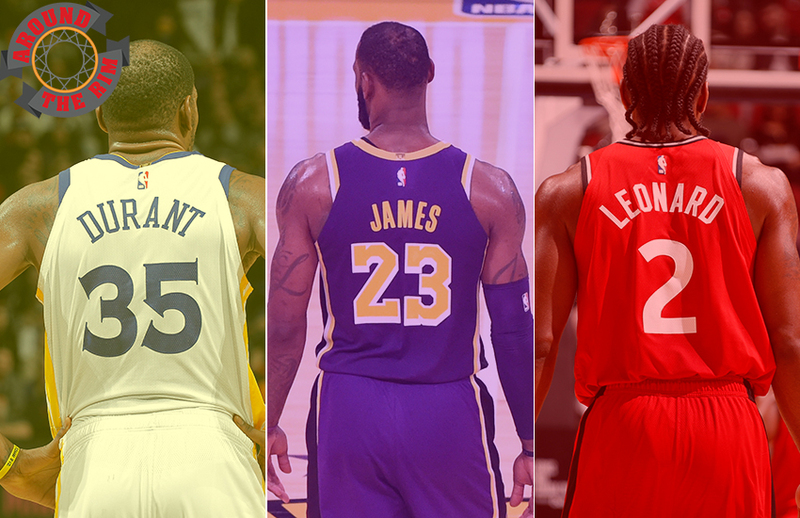 Of all the players currently in the League, who are you rolling with? 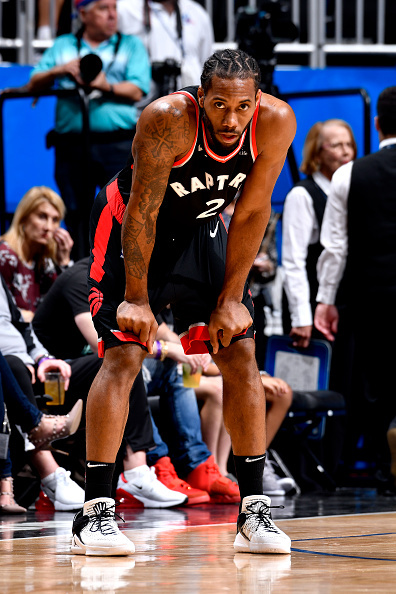 Soaries: I would feel most comfortable about my best player being able to dominate either side of the ball in that situation if it’s Kawhi Leonard. Offensively he’s now able to create just about any shot he chooses, and he’s become especially threatening off the dribble. Defensively he’s going to make sure he secures the ball. He will want the stop, and the rebound to secure the stop. His combination of ability and tenacity would make him my choice for this particular situation. Bradley: Is there anybody you trust more to make the right call than LeBron James? Kevin Durant and Kawhi Leonard come to mind immediately, of course, but those three answers feel too easy. Here’s a different name: Victor Oladipo. In clutch situations such as the one described above, the Indiana Pacers guard ranks fourth in the NBA in plus/minus at plus-49. He’s scored a whopping 76 points in 50 “clutch” minutes, shooting 63 percent from the field and 60 percent beyond the arc. He’s grabbed 12 rebounds, dished 10 assists, and made 3 steals and 2 blocks with just 2 turnovers and 1 foul. Those 50 minutes were spread across 15 games, and Indiana has an 11-4 record in those contests. It doesn’t get much better than that. Kern: I’m going with LeBron James. If it’s an offensive play, I trust that James—even at age 34, with all those miles on his body—can still break his defender down or muscle his way into a good shot, or that he’ll make the right read when the defense collapses and set up someone else… or that he’ll draw a foul call. And on the other end, while James’ defense isn’t what it used to be (nor was he ever as good as, say, Kawhi Leonard or Paul George) he can still dial it up when he needs to. He’ll make the offensive player work for any shot. And, I trust that, short of him taking the opposing player’s head off, there’s very little chance any official is calling a foul on James in this hypothetical scenario… so he can use every ounce of his muscle and inch of his frame to bully the opposing player into a tough shot. Pegues: I’m rolling with the 7-foot shot blocking, scoring machine that is Kevin Durant. Everyone knows that KD can get a bucket when he wants, however he wants. But since joining Golden State, his defense has ascended to another level and isn’t appreciated enough. On the perimeter you can’t get around him, at the rim barely anyone can get over him, and outside of those two guys on his team he can make any shot in the book. KD for the win or to save the game—I’m good to go with either one. Salkin: Kevin Durant. I still think a healthy LeBron is the best player in basketball, but in an isolation situation where refs swallow their whistle, the value of the pull-up or midrange increases significantly. Durant is lethal when operating to get his in one-on-one situations. In addition, he is a versatile defender who can reasonably guard most all matchups in this isolation scenario. If I knew I had the ball, I would go with Steph Curry, and if I knew I was on defense, I would go with Kawhi Leonard. But Durant provides me the best combination on both ends.